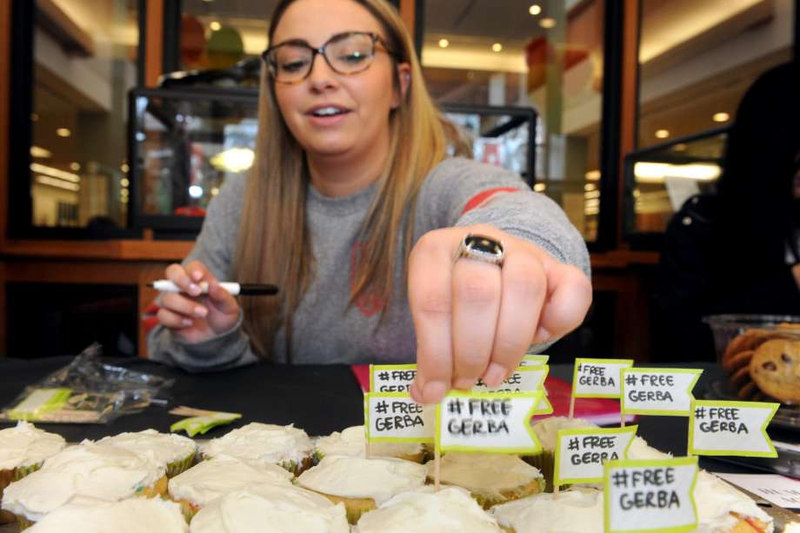 Students hold a cupcake bake giveaway to bring attention to the plight of Dr. Bekele Gerba, a political activist currently in prison in Ethiopia. 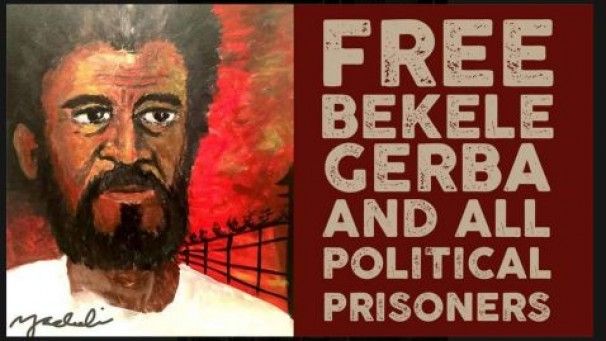 FAIRFIELD — Chocolate and vanilla cupcakes baked by Molly McNamee in her Fairfield University town house probably won’t lead to the release of Bekele Gerba, a professor locked away in an Ethiopian prison. But it will educate more students about the cause. 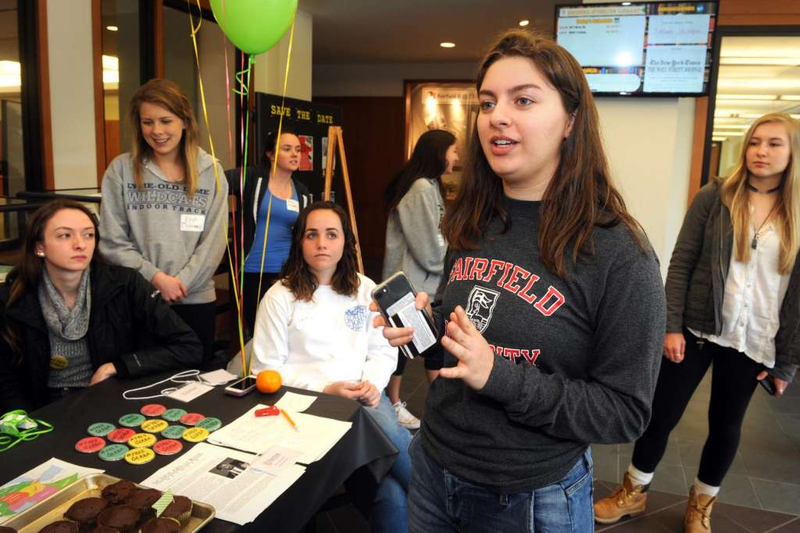 Professor Janie Leatherman, who leads a service learning class called International Human Rights, called the cupcake idea clever. Leatherman’s class devoted a week to educating the larger university community about Gerba, a professor of foreign languages at Addis Ababa University and a peace activist who has translated the works of Martin Luther King into Ethiopian. 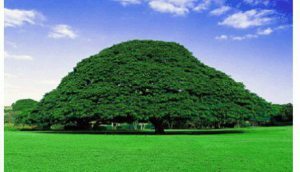 Gerba was also First Secretary General of the Oromo Federalist Congress, a political party, and his latest arrest came in December 2015. Terrorism charges were later leveled against him. Other student events included a panel discussion, a research symposium and a celebration of Ethiopian food and music. 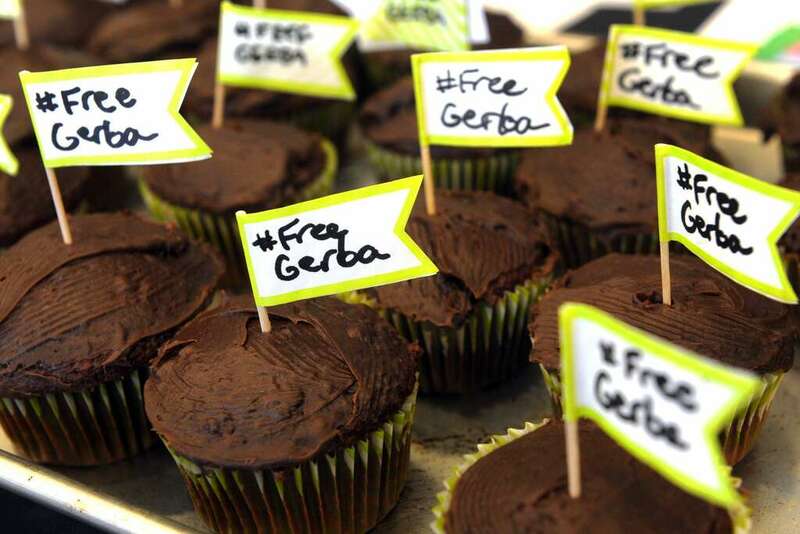 At every event, a petition the class started calling for Gerba’s release grew longer. Leatherman consulted with Scholars at Risk, an international advocacy group that works to free educators and others who become political prisoners, before the course began. Last year, Leatherman taught a class called Politics and Humanitarian Action, that worked to free Mohammad Hossein Rafiee, an imprisoned chemist in Iran. The work included a meeting with the United Nations Special Rapporteur on Human Rights on Iran, and subsequently a visit to the UN. The class wrote a 50-page case dossier on Rafiee. Last September, after spending 15 months in prison, Rafiee was released on medical furlough, due to poor health, and was allowed to recuperate at home, without guards. “We are still concerned about his well-being,” Leatherman said. She said she believes the work of the class helped elevate the case. And Clare Farne Robinson, an advocacy director for Scholars at Risk, said if it weren’t for the students’ efforts, the case would most likely have missed out on this larger, international audience. “I am confident that the increased pressure that the students (and others) placed on Iran had a role to play in this,” Robinson said. The class also was in contact with Rafiee’s family, giving them hope. The 16 students in Leatherman’s current class are hoping for a similar outcome. “It is not out of reach,” said Jessica Held, an international studies and Spanish major from Pelham, N.Y.
Held said it is important to spread the word. McNamee, a junior from Lowell, Mass., said she never knew there were classes like this. “It’s cool to be working on something that can change another human’s life,” she said. Leatherman also works with Alfred Babo, a sociology professor, in teaching the class, which touches on the broader topics of human rights and ethnic strife in Ethiopia in addition to fighting specifically for Gerba’s freedom.